A new series of short videos will feature Bill Gates teaching the basics of how computers work. Seat-back video screens on Alaska Airlines flights will now offer a bit more than HGTV reruns or the chance to see a semi-new-release movie. Alaska has started airing, free for passengers, a series of short videos featuring Microsoft co-founder Bill Gates teaching how computers work. The new in-flight entertainment comes out of a partnership involving Alaska, Seattle coding education nonprofit Code.org and online education nonprofit Khan Academy. Code.org announced the new series of six short videos, “How Computers Work,” a follow-up to its earlier series about how the internet operates. Code.org was founded by two tech entrepreneurs — brothers Hadi and Ali Partovi — and has pulled in big names to instruct and promote its courses since it was founded in 2012. It has gathered investments from several large tech companies, including Amazon and Microsoft, as well as from Gates and Amazon CEO Jeff Bezos individually. The nonprofit develops curriculum and trains teachers how to teach computer science to students in grade school and high school. 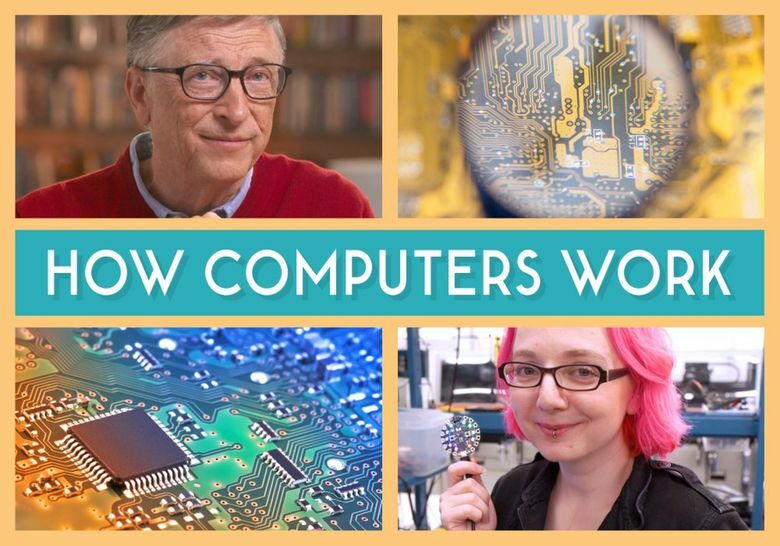 “How Computers Work” features Gates, Nat Brown — one of the creators of Microsoft’s Xbox gaming system — and other tech leaders teaching about the basic tenets of computers, such as how a central processing unit functions and how information is stored. “Whether you use a PC, a smartphone, a wearable device, a connected home appliance, or a self-driving car, the same principles explain how all these computing devices function,” Gates said in a statement announcing the series. The series is also available online and will be used in classrooms that work with Code.org.